Home » Amazing » Indian Tata Nano Car for about $2,500 the cheapest, by far, ever made. By Sparky in Amazing on March 22, 2009 . An Indian car may soon earn a parking place in history alongside Ford’s Model T, Volkswagen’s Beetle and the British Motor Corp.’s Mini, all of which put a set of wheels within reach of millions of customers after they rolled onto the scene. Tata Motors (nyse: TTM – news – people ) is developing a car it aims to sell for about $2,500 the cheapest, by far, ever made. There is a lot riding on its small wheels. If the yet-to-be-named car is a success when it goes on sale next year, it would herald the emergence of Tata Motors on the global auto scene, mark the advent of India as a global center for small-car production and represent a victory for those who advocate making cheap goods for potential customers at the “bottom of the pyramid” in emerging markets. Most of all, it would give millions of people now relegated to lesser means of transportation the chance to drive cars. It is a hugely ambitious project rivals have called it impossible for any company. But it is audacious for one that hadn’t even built cars a decade ago. For decades Tata Motors has been India’s largest commercial vehicle maker the Tata logo appears on buses, dump trucks, ambulances and cement mixers. Sturdy as elephants, they are a fixture of the Indian landscape. Owners inevitably paint the exteriors in a cheerful riot of bright red, green, orange, blue and yellow and line the un-air-conditioned cabs with teakwood to keep them cooler in India’s searing heat. However ubiquitous, Tata’s trucks faced a problem after the Indian government began reforms that opened the Indian economy in 1991: the huge cyclical swings in demand typical for commercial vehicles. To diversify, Tata would enter, at great expense, the less volatile passenger car market. But Tata Motors, part of India’s largest conglomerate, first had to reset its ways. 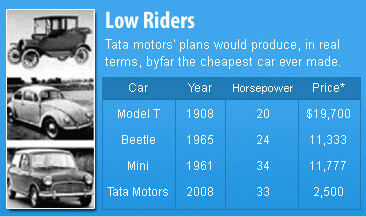 Like many Indian companies protected for decades from foreign competition, Tata had gotten to 2000 still fat and slow. Change started with a spring 2000 meeting at the Lakehouse, a bungalow across the street from the company’s main factory in Pune, a three-hour drive east of Mumbai. Kant, then in charge of the commercial vehicle division, needed fresh ideas instead of rigid resistance, so in an experiment, he called a meeting of 20 of his most promising young managers all under 35 years old. “I have a problem,” he said in his matter-of-fact tone. “The company is bleeding.” He asked for ideas on how to stop the gush of red ink. Okay, they told him, trim costs. 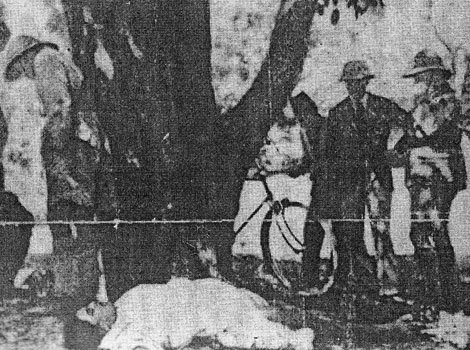 Girish Wagh was there, just 29 then. He remembers the shock of what came next. “Ravi Kant said that 1% in cost cuts would be a rounding error. He asked for 10%!” says Wagh. “Never had we thought of such a target.” Every single year until then costs had gone up, not down. Kant told them to present a basic plan that very afternoon, in front of him and alarmingly all their bosses. They worked frantically. By the 3 p.m. meeting, their wildest ideas were on the table. Taken together, they added up to 6.5%. “A breakthrough!” Kant remembers thinking. But that’s not what he said. “Please go back and think again,” he told them. He needed 10%, not 6.5%. “You’ve got three weeks.” The young team took some measures even as it scrounged for more. In came benchmarking, purchasing from Internet auctions, outsourcing parts to more efficient suppliers and boosting revenue by selling Tata-made dies to other companies. Meanwhile, the Pune factory’s veteran boss bought into the project. The transformation of Tata Motors had begun with the searing loss in 2000, but it continued with a return to profit in the fiscal year ending March 2003. By then it was producing two car models and selling a bit abroad. Today, after buying or partnering, the company has vehicle projects around the globe and exports 11% of output, mostly to South Africa. Efficiency is way up: It now takes between 12 and 15 minutes to change a die on the passenger car assembly line, down from two hours in 2000. The company’s break-even point for capacity utilization is one of the best in the industry worldwide. Between 2000 and 2006 nearly 6,000 workers left the company with early-retirement deals. Meanwhile, the once radical e-sourcing idea has become routine for Tata, which ran 750 reverse auctions on Ariba in the past year to bring down purchasing prices by an average of 7% for everything from ball bearings to the milk served in the company cafeteria. Tata Motors listed on the New York Stock Exchange in 2004. After thousands of changes, in the quarter ending December 2006 Tata earned $116 million on revenue of $1.55 billion. Annual revenue grew to $5.2 billion for the fiscal year ending in March 2006. Analysts worry that high product development costs and rising commodities prices could lower profit margins for the next few quarters. Chart Showing the cheapest cars ever made. The changes at Tata Motors are coming as India itself is transforming. With economic growth charging along at 9% last year, more and more Indians can afford cars. But on the highway from Mumbai to Pune, the new cars zoom past wooden carts filled with construction materials and pulled by ponies, camels, elephants or even people. Roadside markets offer chickens and geese those chosen are slaughtered on the spot and usually carried home on motor scooters. Outside the Tata Motors gates in Pune, a woman in a flowing red sari balances a 3-foot-wide basket on her head. It holds snacks and drinks and serves as a roving roadside shop. Inside the company gates is a modern factory complex. In one building, just past a small statue of the beloved Hindu elephant god Ganesha, robots pick up pieces of sheet metal and feed them into a series of 30-foot-tall stamping presses every ten seconds until the left-side door of a Tata Safari suv is formed. In a building nearby, workers in navy-blue uniforms use computer-aided designs from Tata engineers to create tools and dies used to make those sheet-metal stampings. Tata Motors boosts its revenue by making dies for Jaguar, Ford, General Motors (nyse: GM – news – people ) and Toyota (nyse: TM – news – people ), too, just as it does by allowing the made-in-India Mercedes to be run through its paint shop. Workers at the Tata Motors factory have been trained in Japanese manufacturing techniques that call for continuous improvement. A worker building Safaris noticed that each day on average, one front grille was ruined when a worker leaned over to work on the engine and accidentally scratched the grille with his belt buckle. Cost: about 2,500 rupees $57 a day, or $17,000 a year. Tata designed a simple protective cover for the grilles, plus a slip-on fabric cover for belts and watches that is now used to cut down on expensive waste at each of Tata Motors’ factories. Cost: about 25 cents per vehicle. That’s the sort of thing that Girish Wagh, one of the breakfast-meeting whiz kids, was working to foster when Kant called him in unexpectedly in December 2000. Kant needed someone to take on a risky project to extend the truck line beyond the sturdy Tata mainstays. Kant wanted one cheap enough to compete with three-wheeled, motorized rickshaws and even considered building a small, three-wheeled truck. Before starting the project, Wagh did something no one at Tata Motors ever had: He talked to customers. The three-wheeler men inevitably insisted on a cheap, dependable truck that could go from village to market carrying, say, 200 chickens, a ton of onions or potatoes, or 2,000 eggs. One night, as sunset approached, Wagh stuck with one rickshaw driver. “I kept asking the question. Why? Why? Why do you want a four-wheeler?” Wagh remembered. Finally, he got the real answer. It turned out it wasn’t really a problem of chickens or eggs. “If I had a four-wheeler, I would have better marriage prospects in my village,” the young man said. Drivers of three-wheelers are looked down upon in India. Wagh realized that four wheels had emotional, not just practical, appeal. When Tata Motors brought out the bare-bones Ace truck in May 2005 for just $5,100, it had a monster hit: The company sold 100,000 in 20 months. To try to keep up with demand, it offers the truck only in white to save the time it takes to change colors in the factory paint shop. Tata is building a new factory that will be able to turn out 250,000 a year starting this month. More and more can, but Indian car buyers today represent a tiny slice of a potentially giant market India has just seven cars per 1,000 people. India’s auto industry has grown an average of 12% for the past decade, but just 1.3 million passenger vehicles were sold in India in the fiscal year ending March 2006. That means a billion Indians buy about the same number of cars in a year as 300 million Americans buy in a month. If four wheels cost as little as two wheels, that could change fast. About 7 million scooters and motorcycles were sold in India last year, typically for prices between 30,000 rupees and 70,000 rupees, about $675 to $1,600. Tata is targeting a price of 100,000 rupees one lakh, in Indian terms of measurement or about $2,500 at current exchange rates, for its small car. That sounds impossibly cheap in the West but remains three times higher than India’s annual per capita income. The average pay for factory workers at Tata Motors is just $5,500 a year. Within a few years 2 million of those motorcycle owners may trade up to buy the Tata car, figures McKinsey and Co. partner Ramesh Mangaleswaran in Mumbai. Many low-cost car producers have set up shop in India, and McKinsey believes it could become a global hub for small-car production the way the U.S. is for pickups. Hyundai and Suzuki (other-otc: SZKMF.PK – news – people ) build their small cars in India, and Toyota is considering an India hub. Passenger vehicle exports grew by 13% last year to 192,000, according to J.D. Power and Associates, with Hyundai exporting more than 110,000. A one-lakh car is unlikely to be sold in the U.S. . But it wouldn’t be aimed only at India, either, Ratan Tata says. Bottom-of-the-pyramid markets would be the best fit: places like Africa, Southeast Asia and maybe eastern Europe and Latin America, wherever income levels mirror India’s. The cost target is tough, but there are plenty of other hurdles at home. India’s inadequate roads, for one. Roads and highways are being built nationwide, but if India goes car crazy, maddeningly slow traffic is inevitable for several years. By far the biggest struggle in India is political. The People’s Car factory is already caught in the crossfire, as politicians and pressure groups squabble over forcing destitute farmers off their land for a project expected to bring 10,000 jobs to industry-hungry West Bengal. The company signed the final deal with the state last month and has begun the property’s boundary walls, land leveling, and road and building plans. “We’ve lost four months,” says Ratan Tata. So far. He is still personally driving the People’s Car project. It is a rear-engined, four-door, four-seat car that will get around on 33hp more pep than the Model T or the VW Beetle had when they drove onto the scene. The cheapest versions won’t have air-conditioning or power steering, but Tata hopes its cute looks will make up for missing creature comforts just as happened with the VW Beetle and the Mini long before it. The design was outsourced to Italy’s Institute of Development in Automotive Engineering, but Tata himself ordered changes along the way. Most recently he vetoed the design of the windshield wipers. His solution: a single wiper instead of two, giving the car a cleaner look. And cutting the cost of windshield wipers for the People’s Car in half.